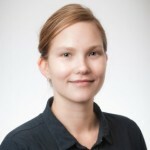 CJRC researcher and lecturer Dr Monique Mann from the School of Justice, Faculty of Law, has recently written a media explanatory piece on email privacy and security. Dr Mann explains how personal communications can be at risk of being compromised via unauthorised access to email accounts or devices, or the scanning or interception of emails in transit or when stored. She suggests that the best way to protect email privacy is via end-to-end encryption and strong account passwords.